In honor of tonight's October full moon, I thought I'd post about everyone’s favorite hairy beasts. That’s right, my friends and yours – werewolves. The monsters aren't just a creepy, awesome part of horror cannon - they represent the beast inside of us – our primitive base instincts that slip out every now and then. If you love werewolf movies, you’ll know some of the more famous incarnations of the beasts – David Kessler from An American Werewolf in London, Eddie Quist from The Howling or Larry Talbot from The Wolf Man. These are just a few examples. I counted 24 werewolf films on Wikipedia's "werewolf fiction" page before I gave up counting at 1964's Face of the Screaming Werewolf - and I was far from the end. So clearly there's a ton of werewolf-centric films, but the beasts pop up quite often in films that aren’t otherwise about werewolves. 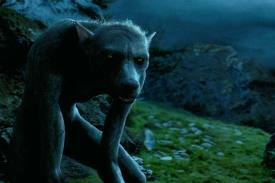 For instance, werewolves feature quite a bit in the Harry Potter series. Hogwarts professor Remus Lupin turns out to be one of the creatures (should have looked at his name more carefully, Harry) in Prisoner of Azkaban and his transformation scene is actually one of my favorites. And Lupin isn’t the only werewolf in the series. A character named Fenrir Greyback is another werewolf and one of Voldemort’s henchmen. You probably haven't seen Waxwork, and if you haven’t, don’t beat yourself up. The uneven 1988 film concerns a group of friends who end up battling the horrors of a dangerous waxwork museum where the displays come to life. The displays are just wax until the kids step into them, and they feature a ton of classic monsters (and the Marquis de Sade…?). If you have seen the film - it's on Netflix instant, or at least it was at the time of this writing - you’ll know that a werewolf features prominently in one scene. The beast is played by none other than John Rhys-Davies. You may not have seen Waxwork, but I hope you've seen Monster Squad. The classic '80s film is about a group of kids who must battle Count Dracula and his crew of classic monsters – Frankenstein's Monster, The Creature from the Black Lagoon, The Mummy, and one helluva Wolfman. 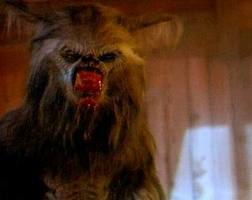 The Wolfman (and his nards) is played by Jon Gries and he does a great job. 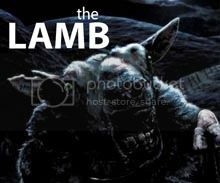 The creature effects were done by Stan Winston (he of Jurassic Park fame) and the Wolfman – known in the film as “desperate man” – is sufficiently brought to life. Fun fact - Gries plays a werewolf in another non werewolf film - Fright Night Part 2. Francis Ford Coppola’s Dracula has a very…promiscuous…werewolf – which is actually just the Count (Gary Oldman) in wolf-man form. Winona, get back to bed! 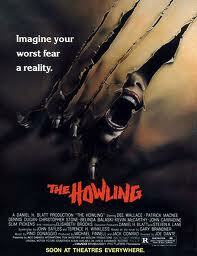 Ford Coppola's film is a great one in my book, and the werewolf scene is disturbing and creepy. 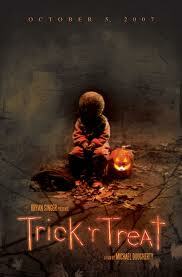 Trick ‘r Treat, an under appreciated, segmented (akin to Creepshow) horror film from ­­ Michael Dougherty, features a story with a surprise twist in which a group of women are actually werewolves. Now that I think about it, the segment might be my least favorite of the bunch, but the film as a whole is solid. Let me put up a disclaimer before I go on here. Van Helsing is a terrible movie. The acting is piss poor and the story makes about as much sense as Jodie Foster in Nell. 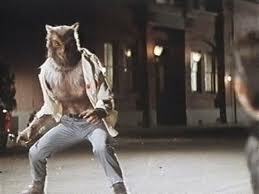 That being said, the film does treat us to some generous werewolf action. Kate Beckinsale's character’s brother is a werewolf, and then Van Helsing himself becomes one of the beasts at the end of the film (briefly). On a final note, joblo.com today reported that the upcoming reboot of The Lone Ranger – a film we’vediscussed before – is back on, after being briefly shelved. As previously reported, the flick will apparently feature some werewolves of the Native American variety (AKA, the best variety).